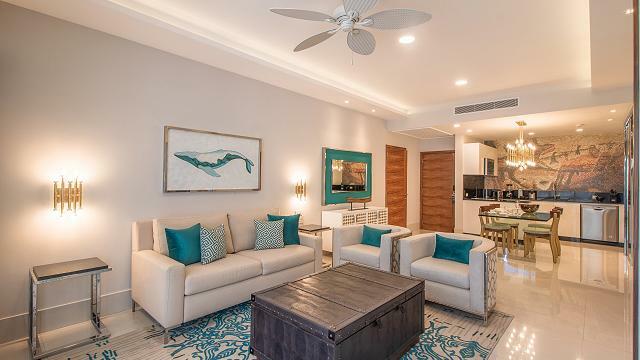 A stylish space for dreaming and unwinding as you recharge your batteries following a day lazing in the sunshine or heading out on adventures in Los Cabos. 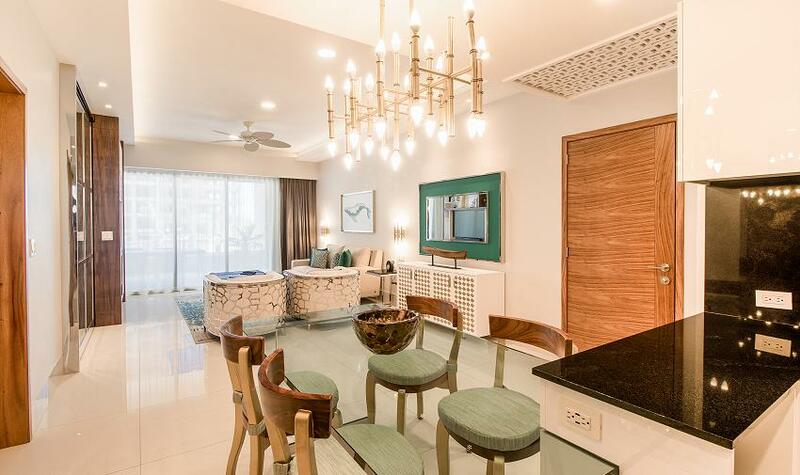 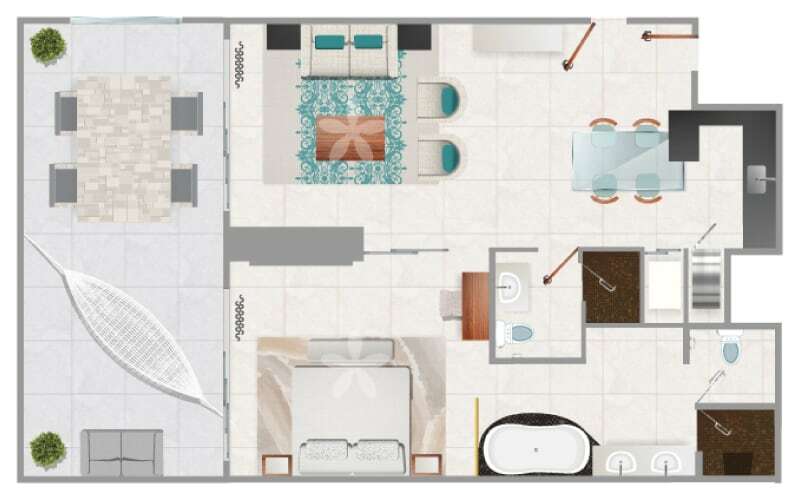 This one bedroom suite is the perfect match: sleek design and ample space for sophisticated relaxation indoors and out, a modern kitchen area for gourmet socializing or a heavenly breakfast, and a divine bedroom with an eye-catching ensuite bathroom. 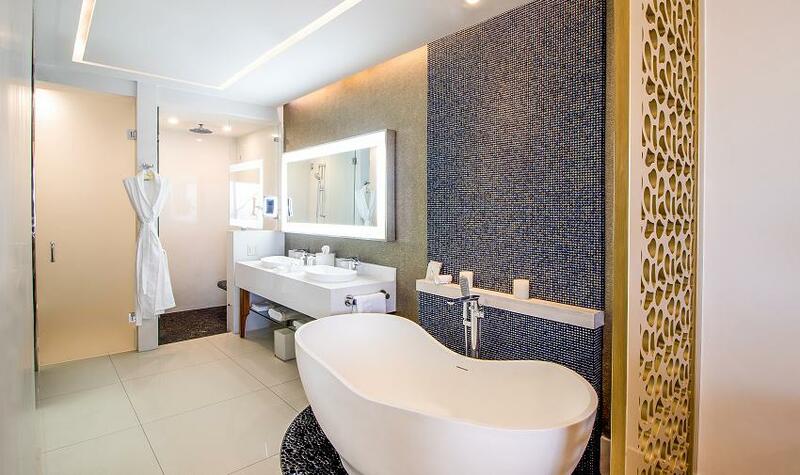 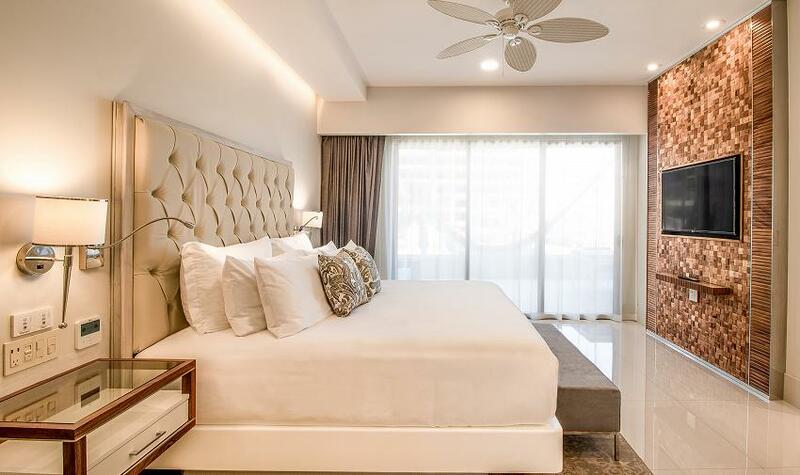 The king-size bedroom has a plush ensuite bathroom with contemporary bathtub, twin vanities, separate shower and state-of-the-art bidet toilet which is elegantly partitioned from the rest of the suite by a stylish coral-effect panel. 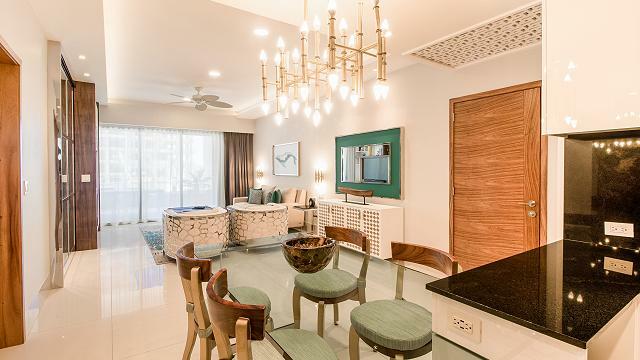 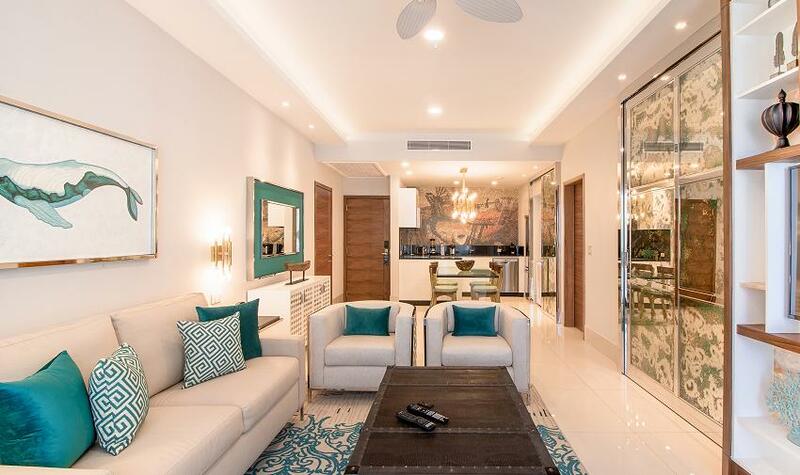 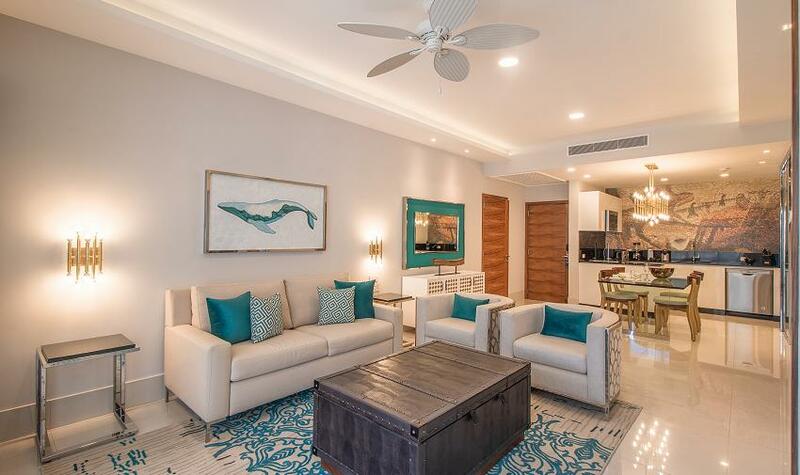 Unforgettable design features abound, from a range of contrasting textures to set off the minimalist decor, an authentic looking mosaic that imitates a famous Baja Californian cave painting, to subtle references to marine life in the decor. 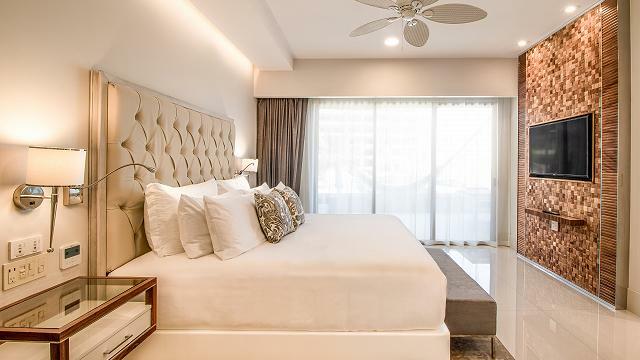 For privacy, you can close the sleek sliding doors to the bedroom or leave them open to fully appreciate the expansiveness of this suite. Here, you don’t need to close your eyes to feel like you are dreaming.